Work with SENTIENT on a custom furniture project. Start with an idea, then initial sketches to get the ball moving. We then do customized 3D computer renderings to give a sense of finished piece. After the design details are settled, we turn it over to the workshop to begin production. Lead time on most pieces takes 6 to 8 weeks. Our workshop does it all. 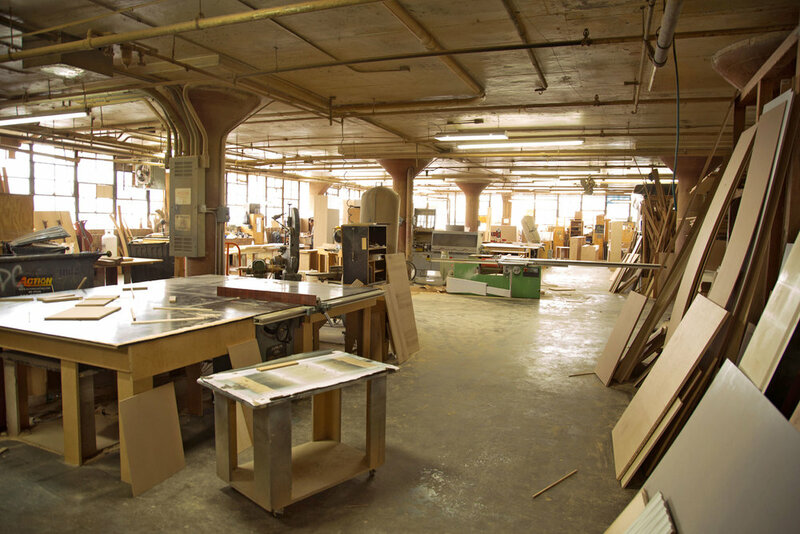 Woodworking, upholstery, cabinetmaking, millwork; our team can build it if you can dream it up. With 30 years experience at our Brooklyn location you can be assured of the quality and craftsmanship. SENTIENT in house upholstery shop specializes in fabrics and leathers. We carry some stock fabrics and leathers but also work COM, and have relationships with a number of fine fabric & leather suppliers. We can offer various upholstery methods and options in foam densities, pocket springs, hand-tied construction, etc. SENTIENT works with family owned lumber mills in Pennsylvania to supply our woods. Our featured hardwoods are American black walnut, maple, oak & cherry. Other options are also available on request.